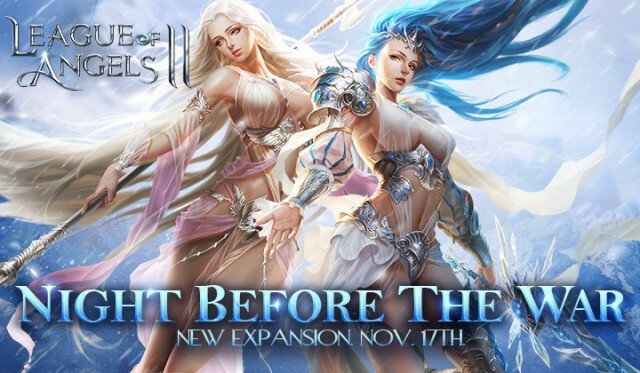 Since the release of League of Angels II earlier this year, the epic free to play MMORPG developed by GTArcade has attracted millions of players from all over the world. On November 17th, the game’s first Expansion, titled Angel of Desire, is ready to change everything players thought they knew about the game! A new Mythic Angel, the Angel of Desire, has come to lead the elite heroes of Sapphire into the Eternal battlefield! While she is much younger than other Angels, she possesses incredible power and can be said to be the best Support on Sapphire! She can manipulate the Rage of her allies and her enemies at will, giving her immense control over the flow of battle. In the Chronicles of the Angels, this Angel changed the entire history of Sapphire with her ambitious plan. Want to know more? The full story will be available soon in-game! The new cross-server game mode Eternal War is going to start a storm on Sapphire! 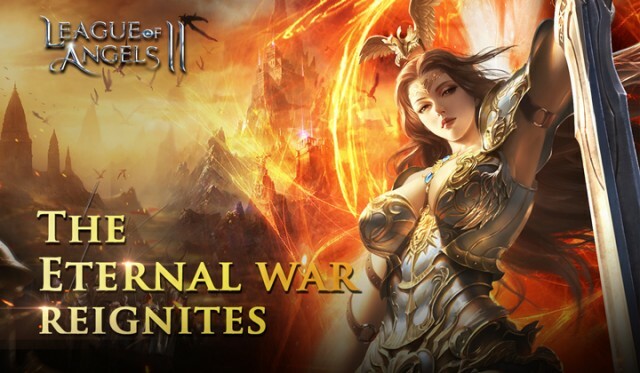 Featuring a perfect mix of PvP and PvE, the Eternal War is a massive testing ground for elite heroes and lets thousands of players compete for the ultimate glory. Players can join Legions, which are divided into 3 Elemental Factions: Fire, Water, and Wind. Represent your Faction and wage war across the huge battlefield for territory and resources. Build weapons of destruction and deploy strategy and tactics to crush your enemies. You’ve never experienced anything like this! On Nov. 14th, the “Night before the War” event will go live containining the mysteries of the Expansion for players to discover! As a magic codex, the blank pages will require special Reveal Potions to decipher. Players should work together to collect as many Reveal Potion as possible in the Elite Dungeon and use them on the codex. The story of the Expansion will slowly unfold as the chapters are unlocked. At the same time, players can earn chests that may contain Shards for the Angel of Desire! The new Expansion will usher in a brand new era for GTArcade’s epic browser game League of Angels II! The Angel of Desire and the Eternal War will definitely change everything you thought you knew about the game! November 17th can’t come fast enough!